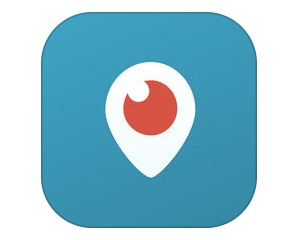 Periscope is an app available on the mobile market for Android and Apple devices. Periscope was launched in January 2015 as start up company that had originally named the app Bounty. Twitter then purchased the app Bounty and renamed Periscope. Rumors had the acquisition at over 50 million. On August 12, 2015, Periscope released their subscriber and user base at over 10 million accounts. They also noted over 40 years of video was being watched per day! So now for the what in the world is Periscope section of my review. Periscope is an app that utilizes you twitter account for login and then allows you to view or broadcast live videos from across its app platform. When you first launch the app, it does require access to your Twitter account. If you do not have one, you can make one from inside the app in just a few steps. this is important to remember because if you are going to let your children use the Periscope app, they now will be introduced to Twitter and will need a Twitter login for Periscope. Once you log in, the interface is pretty easy and self explanatory. There is a map at the top of screen and then trending broadcast in the middle of the people you have selected to follow. The options at the bottom are pretty easy to figure out. The four icons at the bottom of app home screen are displayed as icons. You are already on the first one (icon is TV with rabbit ears) This just shows you who you are following and quick access to their broadcasts with a map on top of locations of broadcasts. The next icon is a map (icon is a picture of earth) of North and South America that shows you red dots of where people are currently live broadcasting from. You will see numbers inside the red dots that tell you how many broadcasts are currently in that area. Once you zoom in, then the dots will start to spread out to allow you to view individual ones. I did notice on setup, the app wants your location so it can show you live broadcasts that are around you. The Third icon is for your own broadcast. When you select this, you will get a menu that you must allow the app to use your camera, microphone and location. This is obviously for the ability to record your streaming video with audio, and to give people your location so that others can watch your broadcast around you. On viewing another broadcast after you search for one to watch, you are able to see a live video feed of the person streaming their broadcast. When I downloaded the app and began to use it last night, there was a hurricane coming through Mexico. There were a lot of people live broadcasting the storm and talking about it. While you are watching the live streams of other people, you are able to comment to communicate back and forth with them, and also touch your screen to give them likes. When you like them, hearts will float off the top of page. You will see others doing the same thing and the hearts will float up off the top of screen. We knew this day was coming with streaming videos and broadcasting live. With growing internet speeds and the popularity of Instagram and Snapchat, someone was going to take on the live feed. I gave this app high threat level and not a very high. Obviously it is going to have to at least get a high level due to the fact that you do not know what the other person is going to say or suggest on. Periscope/Twitter does a pretty good job of removing or banning inappropriate feeds it appears from the other forums I have read about this app while studying for my review. But, they cannot always bump something immediately. While I was watching different feeds, I didn’t stumble across anything that was visually inappropriate, but some people were using harsh language and some sketchy topics they were discussing that i probably would not want my kids watching. This app will have to be monitored close. See who you kids are following and why they are following them. I seen several Video Game review broadcasts from searching the net and other Technology base broadcast. I also seen broadcasts where people were just sitting in their living room, just trying to chat with people. If you are going to let your child use Periscope, I would suggest to monitor them while using and explain to them the dangers that are obviously behind live broadcasts. This is probably not an app I would want my kid using behind closed doors, due to not knowing who they are watching and chatting with live. I did not find any credible articles of criminal offenses occurring because of this app, but you will need to Monitor them closely with Periscope. There were several sexual related streams online when I reviewed.